When marketing your practice, do you do this? I’m sure you have been told before that healthcare practice marketing is more than just advertising. Having multiple marketing strategies in place is the best way to keep your practice growing and new patients through the door. It doesn’t matter what you call it as long as you do it. Many of the healthcare practitioners that I work with have a dislike of marketing that makes them cringe at the sound of the word. But it doesn’t have to be this way. In healthcare marketing as in practice management it very much depends on you and which style you are most comfortable with. Find a marketing strategy that suits you and you will see it will work for you. Because you can easily apply it and believe it and so will your staff and patients. We all agree that you need to market your practice if you want to grow it or even just if you want to maintain it. But many practice owners merely adopt a single marketing strategy, which is often only slowly implemented. In this case you may as well not market at all and save your time and money. If there is one golden rule of healthcare practice marketing, it is consistency. People need to be exposed to you and your message multiple times before they are ready to make a decision and take action, in this case call your office for an appointment. We estimate an average of seven contacts that your practice needs to make with a potential patient before he or she will in fact visit your practice. So if you only place an advert in the local newspaper, maybe once every quarter, the chances for exposure are much slimmer and you won’t get the appointments you want. 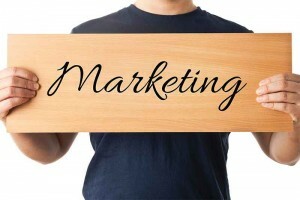 Use both online and offline marketing methods. Being limited to just one medium lessens the exposure of your message. Instead incorporate a mixture of each to get the maximum benefit. And try to think outside the box. What is personal to you, to your practice, to your style of healthcare and how can you tell the community about this? For example, you are one of the few practices in town which offer specialised exercise classes, so why not offer free classes for everyone for a limited timeframe. Don’t spend all your marketing effort and budget only on attracting new patients. What about the patients who are already in your clinic and you are already a supporter of your practice? It is always easier to sell to somebody who already buys from you than somebody who has never heard of you. So why not have one marketing campaign for attracting new patients while having a second one for building relationships with your existing patients. And don’t forget, that whatever marketing plan you come up with, you consistently can and will implement it. The best way is to work out your marketing one year in advance and assign a team member to each of your projects. Consistency is very important, you simply won’t get the results you are looking for if you don’t market using all channels and on a regular basis.